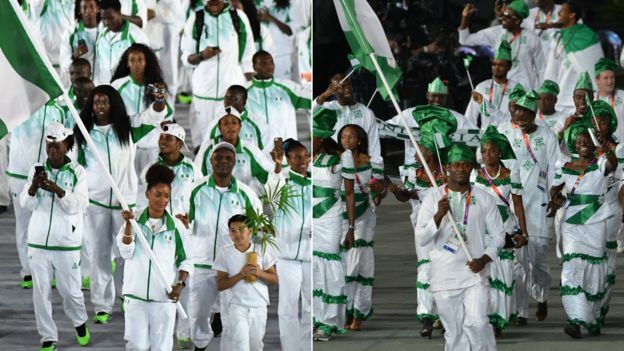 Nigerian athletes in Rio received their Olympic kits only on day 13 of the Games, the BBC has learned. Most of them had finished competing by the time the outfits arrived. “We are disappointed and embarrassed. We’ve been wearing kits from the World Athletics Championships,” one athlete, requesting anonymity, told the BBC. Nigeria’s men’s football team has its own sponsored kit – but it has been hit by funding problems and players only arrived hours before their first match. The team plays for bronze on Saturday against Honduras. Africa’s most populous country has so far won no medals at Rio, with only three more days of competition left to go. The BBC spoke to two athletes who confirmed that they had only received their sports and ceremonial kits on Thursday. 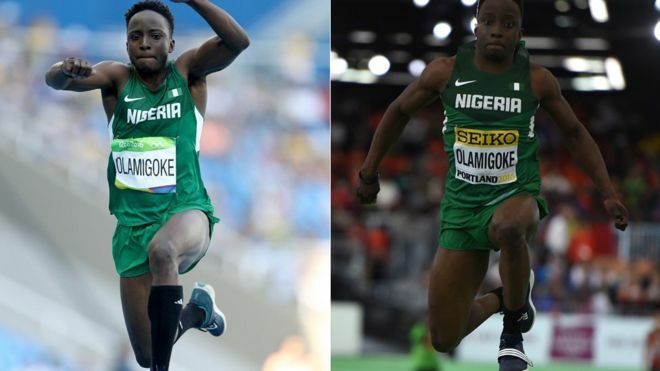 An unnamed Athletics Federation of Nigeria official told Nigeria’s Vanguard newspaper that he had never experienced anything like this in all his years in sport. “Money meant for the Games was held tightly by [sport] ministry officials and they were just releasing money piecemeal,” the official is quoted as saying. The government had budgeted 600m naira ($1.7m; £1.3m) for the Olympics, the Vanguard reported in July, but payment problems appear to have dogged Nigerian Olympians. Japanese plastic surgeon, Katsuya Takasu, is donating $200,000 to the football team after hearing about its financial difficulties. The players were held up in the US city of Atlanta because of problems paying for their flight and only landed in Brazil just hours before their opening 5-4 win over Japan. Mr Takasu has also promised each player a $10,000 bonus if they win bronze.